MANILA - The Philippines should assert its sovereignty over its exclusive economic zone (EEZ) in the South China Sea by maintaining a counter-pressure against China, which claims nearly all of the disputed waters, an analyst said Saturday. 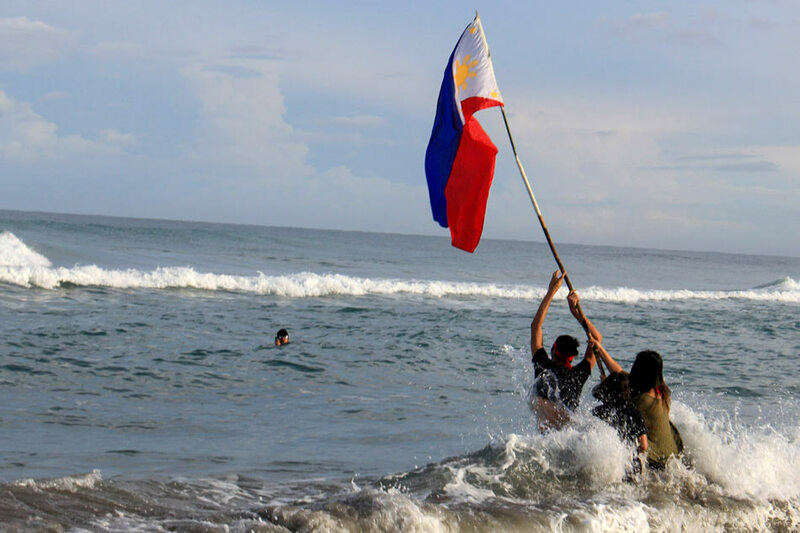 Manila can do this by ensuring that the Philippine Coast Guard maintains a connection with allies such as the United States and Japan, said Anders Corr, an analyst with The Journal of Political Risk. "I think that the Philippines in order to protect its fishermen really has to have its Coast Guard out there in the West Philippine Sea on a continual basis," he told ANC. The West Philippine Sea is the Philippines' EEZ in the South China Sea. "The Coast Guard should also be connected to its allies in the region like the US, Japan, and South Korea. That's very important in order to keep the counter-pressure to the Chinese," he added. Filipino fishermen are reportedly being bullied by the Chinese Coast Guard in the Scarborough Shoal, rich fishing grounds off Zambales province. Malacañang on Friday said it would check on the matter. Corr said the reported incident is just one of the many ways that China is pressuring the Philippines in the West Philippine Sea and the latter could "push back" without going to war. "The Chinese are pressuring the Filipinos in many, many ways and in order to maintain full sovereignty, the Philippines has to push back a little bit on that pressure which doesn't mean war," he said. "A war with China is not coming if the Philippines just maintains the sovereignty of its territory, EEZ (Exclusive Economic Zone), and its people," he added. Corr also agreed with Acting Chief Justice Antonio Carpio's remarks that Manila could again bring Beijing to court over the South China Sea dispute, saying it is "a very good idea." Carpio on Friday said the Philippines could bring China to court to demand damages for economic losses suffered by Filipino fishermen. The Philippines in 2016 won a landmark case where an international arbitration court invalidated China's claims to nearly all of the South China Sea. Beijing, however, has ignored the ruling and ramped up militarization and island-building activities in the waters.